Written by Martine Rothblatt. Published by St. Martin's Press. Released September 9, 2014. Review copy provided by the publisher. Martine Rothblatt argues that sentient digital clones are only a few decades away in her book, Virtually Human. Martine Rothblatt's Virtually Human: The Promise - and the Peril - of Digital Immortality presents an optimistic view of our future, where digital copies of our minds coexist with our fleshy selves. Virtually Human is more philosophy than science, taking the achievement of conscious artificial intelligence in the next two decades largely as a given, based on current science (achievements like IBM's Watson) and the rapid evolution of computer processors (Moore's Law). Rothblatt's optimistic futurism hopes to prepare us today for the legal, ethical, and moral challenges of recognizing these digital human consciousnesses as persons owed human rights, dignity, respect, and the privileges and obligations of citizenship. Can a computer mimic a human brain? The assumption that conscious AIs are achievable is based on the computing power of the human brain, a value that has been the subject of much discussion. 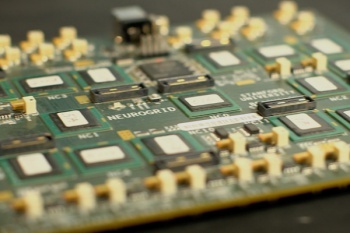 The Neurogrid circuit board, modeled on the human brain, can simulate only 1 million of the 100 billion neurons in a brain. However, Rothblatt argues that we need not replicate every aspect of the brain in order to develop mindclones, in the same way that an airplane does not replicate every aspect of a bird, but achieves flight nonetheless. It's a compelling argument. 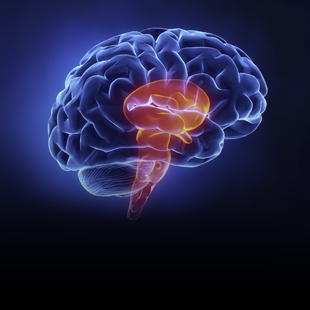 After all, is the complex mechanism needed to keep your pituitary gland producing the correct cocktail of hormones needed to regulate your body functions necessary to consciousness? Probably not. Rothblatt, a lawyer and entrepreneur, has been a part of early efforts to create humanlike robots. Rothblatt's spouse, Bina Rothblatt, is the co-founder of the Terasem Movement Foundation, whose LifeNaut project created Bina48, a lifelike robot modeled after Bina. Bina48 is capable of carrying on a conversation, including facial gestures, and has given several press interviews. Mind clone, or mind being? Virtually Human explores two types of digital consciousness. Unique digital minds, called bemans, which are not based on any living human, and conscious clones of our own minds, called mindclones. Mindclones and bemans are self-aware digital beings, able to think, reason, remember, and feel. A mindclone would be functionally identical to the living biological original mind, and, in Rothblatt's vision, both conciousnesses are the same mind, simply existing now in two different substrates, one digital and one flesh. Your mindclone and you will cast the same vote, love the same children, and receive the same jury duty summons, and when your physical body dies you will live on, forever, as your mindclone. On the other hand, new consciousnesses called bemans, like a self-aware Siri, would be treated like the child of its creator, with all the attendant obligations to raise it to a form of digital adulthood. Bemans could be created from scratch, or from digital reproduction between two (or more) mindclones. How do we create a mindclone? Rothblatt envisions the creation of mindclones from mindfiles, collections of data that reflect our life experiences and our unique self. A mindfile would be assembled from all possible sources, including the photos we upload to Facebook, the discussions and opinions we share on forums or blogs, and other social media interactions. She argues that much of the data needed to create a mindfile is already being collected, as we interact regularly with computers. Mindware, software developed with the goal of generating conscious AIs, would read your mindfile to generate your mindclone. Rothblatt proposes a certain level of governmental approval for mindware, like an FDA certification, to ensure that the resulting mindclones are well made, and a year-long process led by a cyberpsychologist to confirm that the clone and its biological original are, in fact, the same mind. Ongoing updates, synchronization, and interaction between the two minds would maintain the twin minds as one.